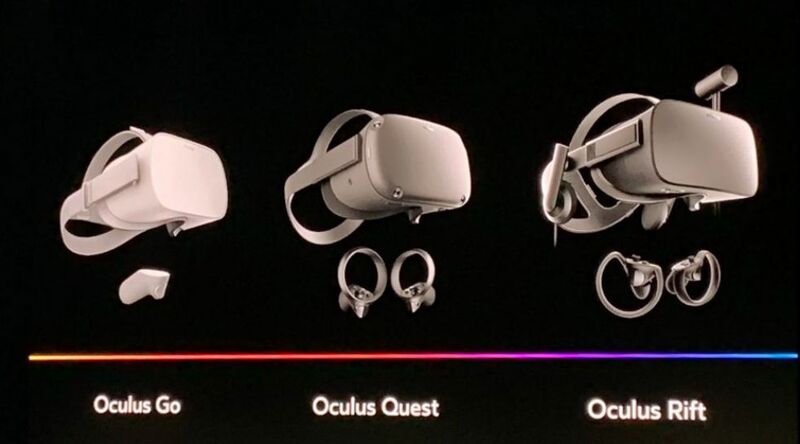 The Oculus Quest (centre) with the Go and Rift flanking it. Credit: Facebook. Update, Thursday September 27th, 2018: hands-on reviews, such as this one from Techcrunch, report the Quest is powered by a Snapdragon 835 chipset. On Wednesday, September 26th, Facebook announced the Oculus Quest, billed as their “first all-in-one VR gaming system”. The new headset is due to start shipping in Spring 2019 with a price point of US $399 and 64 GB of on-board storage. The Quest isn’t actually the first Oculus standalone headset unit – that honour went to the Oculus Go, launched in May 2018. It provides an experience similar to the Gear VR system offered by Samsung (and using Oculus optical hardware), and sells for US $199 with 32 GB, or US $249 with US $64 GB of storage. The unit was seen as easy to use, albeit with limitations. 1600 x 1440 per eye resolution. 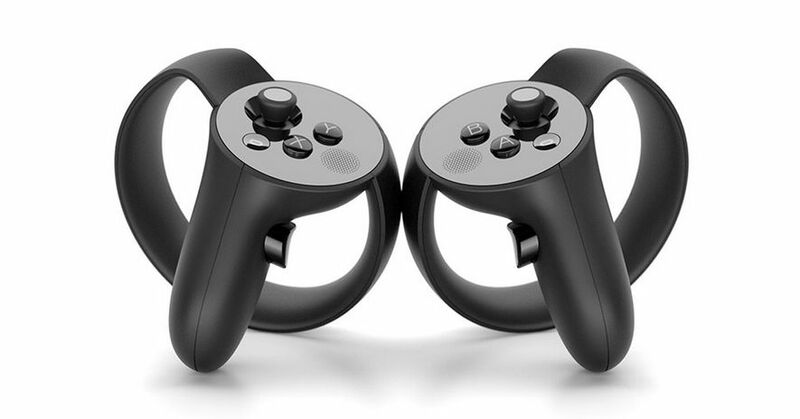 Two Oculus Touch style controllers. 6DoF (6 degrees of freedom). Adjustable spacing for its lenses. Four ultra wide-angle sensors for motion tracking / positioning, with “arena sized” tracking capabilities. As a standalone unit, the headset uses a dedicated operating system, based on Android (as does the Go), so it will not natively run existing Rift VR titles, although it is anticipated that Rift-focused games will be ported to Quest alongside Quest’s own list of titles – there will be a portfolio of at least 50 titles available when the Quest starts shipping. 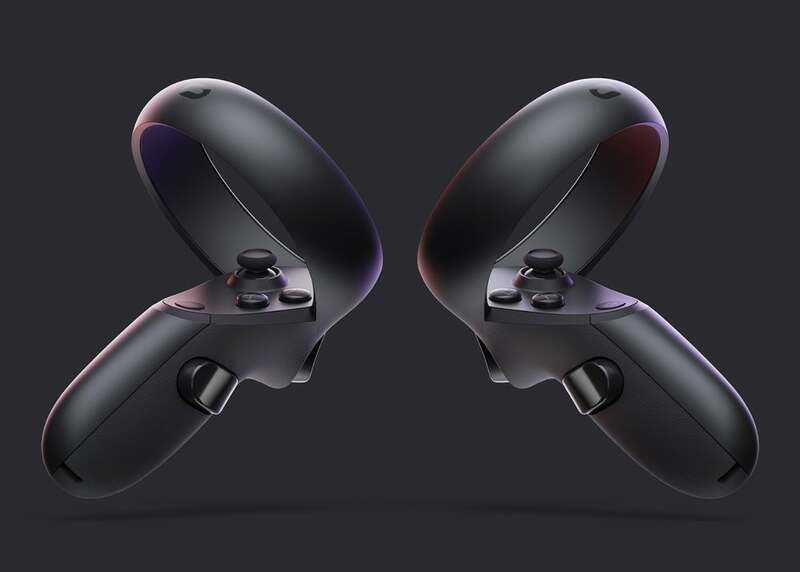 Interestingly Facebook have indicated that they plan to have a Single button” process to allow Quest centric games to be converted for use on the Rift “with no code changes”. The key differentiator between Quest and the Rift – other than the standalone nature of Quest – is, as mentioned above, that Quest is being touted as a games-centric headset, while the Rift is seen as more “video” oriented. However, and allowing for development of titles and applications, it’s hard to see such an artificial division between the two remaining in place over time. In keeping with this, the 50-title line-up for when Oculus Quest starts shipping is games centric, and will include a three-part cinematic Star Wars “6DOF” experience, centred on Darth Vader. 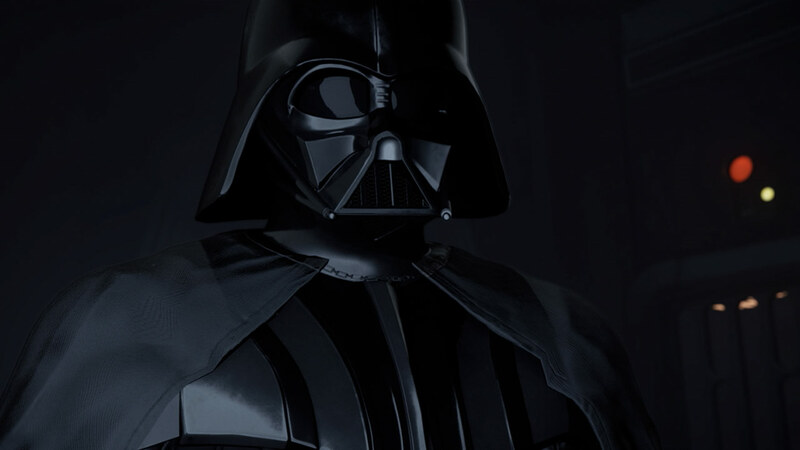 Called Vader Immortal, players using it will, to quote, “Be able to step inside the world of Star Wars in the comfort of your living room and, for the first time, truly feel free.” Also as a part of the games element, Facebook note that Quest headsets can be used in multi-player scenarios right out of the box. The sensor system on Quest, now officially called Oculus Insight, sounds particularly impressive. The four ultra-wide-angle sensors coupled with “advanced computer vision algorithms”, allow for full position tracking in real-time. the sensors look for edges, corners, walls and furniture to build up a 3D map of the wearer’s surroundings, while input from the headset’s gyroscope and accelerometer allows an estimate of the wearer’s head position to be calculated every millisecond. Quest also includes a capability called “multi-room guardian”, allowing multiple environments where the headset may be used to be mapped and saved, removing the need for constant recalibration when using Quest in different locations. The new Quest controllers (seen below) are very similar in nature to the Touch controllers, offering joysticks, menu buttons, a pair of trigger buttons for each hand, and an AB/XY array. The major difference is a new halo that goes around the hand. It is thought this may link with another element of the Oculus Quest ecosystem: an RGB sensor, which may be used to translate controller location in virtual space, and which can double as a “camera” a Quest wearer can toggle in order to see a (greyscale?) view of their real-life surroundings. With the introduction of Oculus Quest, we’ve completed our first generation of best-in-class VR headsets. Oculus Go remains the easiest and most affordable way to get into VR, while Oculus Rift leverages the power of your PC to push the limits of what’s possible. Thanks to Oculus Quest, we’re now able to combine the best of both worlds and welcome even more people into the VR community. With HTC recently having launched a US $300 wireless adaptor for the HTC Vive and Vive Pro – both of which require a high-end gaming rig, Oculus VR may just, with this announcement of the Quest priced at the same level as the Rift, stolen a march on their competition. That said, it’s likely still not enough to get me to invest in a VR headset just yet. I’ll see what the next generation of hardware brings. But for those who are interested in the Oculus Quest, hands-on reviews should be appearing on the web, “real soon now”, to coin a phrase. Here’s another rapid-fire update on the worlds of VR and MR as I’ve been able to track a few things. Oculus VR has dropped the price of the Oculus Rift headset and the Oculus Touch controller by $100 each. At launch, the headset cost Us $599 and the controllers, released later and a crucial part of the system, were priced at US $199. The new pricing brings the price for both down to the US $598 mark – just US $100 more than the Playstation VR bundle, and makes the Rift headset much cheaper than its main rival – the HTC Vive. “Cheaper” is of course a relative term. Despite work to allow the Rift operate with lower-specifications systems (see my last round-up), to get the fullest out of the system you still need a heft PC with a hefty price. There is still no news on when the untethered version of the Rift, with the project name Santa Cruz, will be ready for consumers. The only major update is that when it does appear, it will be marketed via Oculus VR’s “lower end” mobile division. Speaking at the announcement of the price drop, Oculus VR’s former CEO (now head of Desktop VR), Brendan Iribe, indicated that the company is focusing on the next generation of VR systems, which he defines as being “a very big leap from where we are today”. However, consumers are unlikely to see anything on this front for at least another two years. On February 1st, the ZeniNax case against Facebook / Oculus drew to a close, with the plaintiff being awarded US $500 million in damages over alleged code theft. While Facebook is seeking to have the verdict set aside, on February 24th, ZeniMax filed an injunction seeking to block Oculus VR from using the disputed code in its products. The news came via several outlets at the time, including Ars Technica, which pointed out that the injunction probably won’t succeed, but that if it does, it could be massively disruptive to both Oculus and Samsung, as the code is also used in the Gear VR. 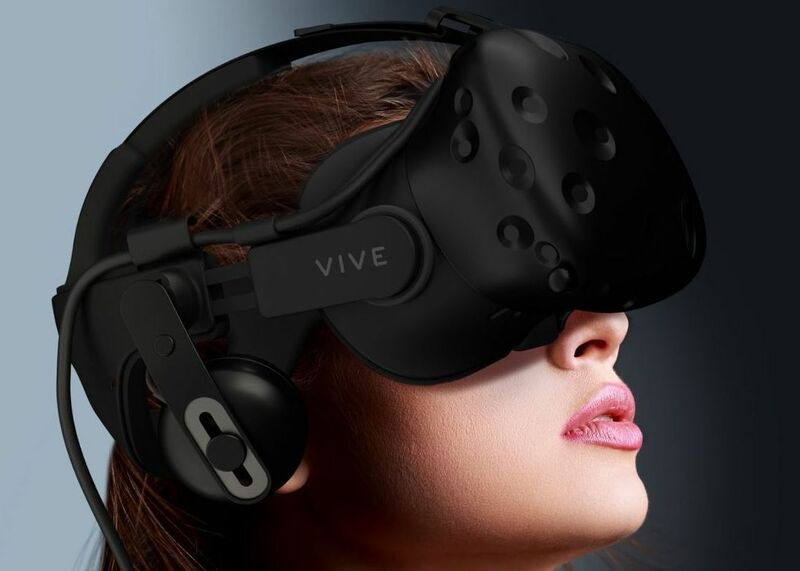 Rumours are circulating that HTC are working on the “Vive 2”, an improved version of their headset. Details have been sketchy and a little confused; one early report from November 2016 suggested the “Vive 2” would be a wireless / WiFi system, but given this came out shortly before HTC and Vive X Accelerator company TPCAST announced a “tether-less” WiFi kit for the existing Vive, (see me last round-up, linked to above) that report many have been incorrect. However, other sources have indicated that “Vive 2” is in development, but has not release date. It is also said to have the internal code-name of “Oasis”. Has someone at HTC been reading Ready Player One? In the meantime, HTC aren’t cutting the Vive’s price – but they are offering a new finance plan to help purchase it. They’ve also announced two new accessories: a Deluxe Audio Strap and the Tracker. Both are priced at a “mere” US $99. The Deluxe Audio Strap is in fact a rigid, Oculus-style head mount for the headset, complete with headphones. The Tracker, due to ship in Q2 2017, is essentially a sensor unit which allows game and hardware developers to turn real-life props into virtual weapons / gaming pieces, from guns to swords, to bats and so on. Once connected to a peripheral, it allows the Vive’s lighthouse sensors to detect and track it, enabling it to be visualised in-game. As has been widely reported, sales of VR headsets have been far slower than the early hype predicted. No surprises there in many respects. Currently, Sony’s Playstation VR system is the highest-selling – but that’s just about to hit the million units mark. Oculus Rift and Vive are some way behind, with 243,00 and 420,00 unit sales respectively at the end of 2016. This plateauing of sales has led to some pundits almost writing-off VR. However, while it would seem likely VR will be a niche product when compared to the everyday potential of Augmented Reality / Mixed Reality (AR / MR), it’s worth remembering that consumer-centric VR is only at the first generation stage. It is hampered by cost and the need to be hooked into a high-specification PC. Over time, some of these aspects – especially cost – will come down, encouraging more widespread interest / adoption, especially in those markets outside of games where VR could have a real impact: education, training, simulation, design, architecture. So it is perhaps a little premature to be pointing at current sales figures and declaring VR a “fad” or similar. It’s been a while since I’ve covered anything in the VR and AR markets, so here’s a very quick catch-up on the main products I have been following on-and-off in these pages, and about which I’d been meaning to write about during October / November. 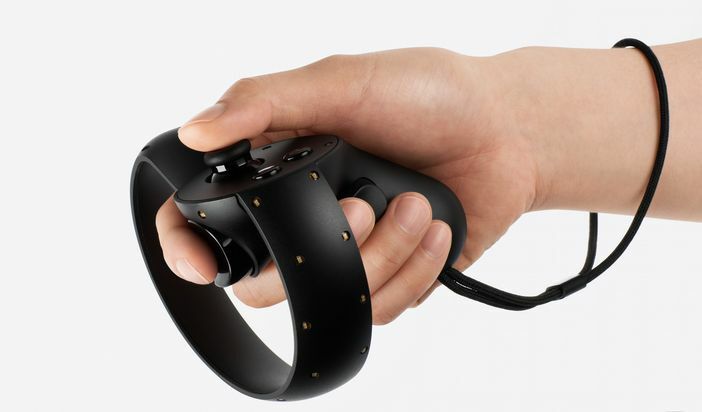 In October 2016, Oculus Rift opened the doors to pre-orders of the Touch, their hand controller system, due to start shipping on December 6th, 2016. The Touch price point is US $199.00 (approx. £189 / €187 / AU $265), which includes of Toybox, the multiplayer sandbox application designed specifically to show-off the controllers, and five Touch-ready game tiles. Alongside of the Touch, Oculus announced additional Rift sensors would also be shipping on December 6th, 2016, at a price of US $79 (approx. £62.55 / €74.18 / AU $106.47), offering similar room-sized scanning capability as the HTC Vive. A new earbud system, designed to replace the earphones on the headset for a more immersive sound experience, was also made available for pre-order (again shipping on December 6th, at a cost of $49 (approx. £38.81 / €46 / AU $66). As a rough-and-ready price comparison. The HTC Vive, which includes a headset with front-mounted “see-through” camera, two controllers and two room sensors for tracking) is prices at about US $800. 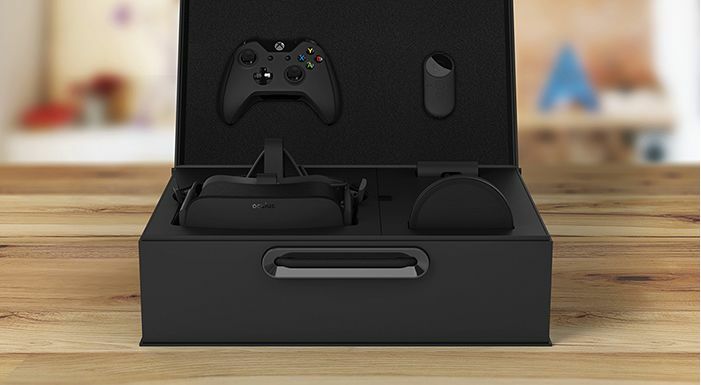 The Oculus Rift (which ships with one sensor) + touch + and additional sensor comes to roughly US $877, with some recommending two additional sensors offer optimal scanning bringing that total to US $956. Obviously, the latter package also includes a hefty amount of additional software, including Toybox. 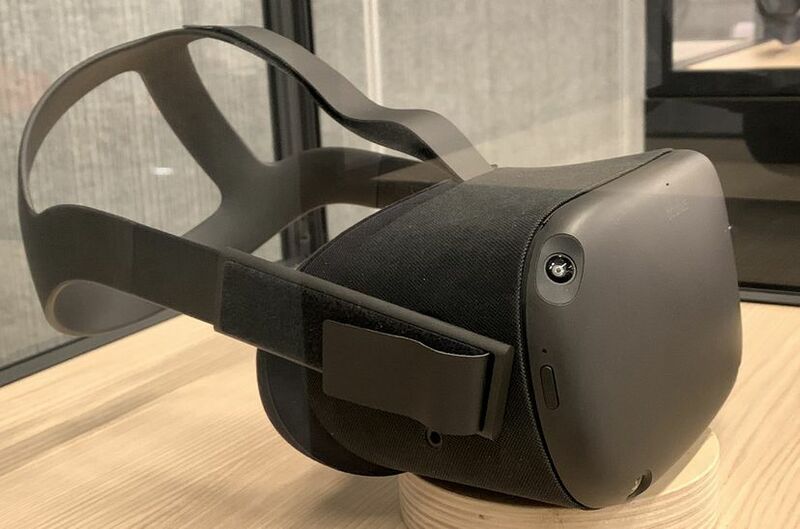 Oculus is releasing a new technology aimed at reducing system hardware requirements while maintaining content quality across a wider array of hardware. Asynchronous Spacewarp (ASW) is a frame-rate smoothing technique that almost halves the CPU/GPU time required to produce nearly the same output from the same content. Like Asynchronous Timewarp (ATW), ASW is automatic and enabled without any additional effort from developers. In other words, and to summarise the summary, AWS allows VR experiences remain fluid to the eye by “making up” the “in-between” animation frames, reducing the demand of continued, heavy processing on the part of the CPU / GPU. This is turn means that “lower end” systems can now in theory run VR experiences which incorporate AWS. Although it has to be said that “lower end” must be approached with something of a caveat: it reduces the GPU requirement from a minimum of a NVIDIA GTX 970 / AMD Radeon R9 290 and Intel i5-4590 equivalent or greater to a NVIDIA GTX 960 / AMD Radeon RX 470 or greater and Intel i3-6100 / AMD FX4350 or greater – which some might consider a small move of the needle. Finally, Oculus VR is working on an untethered version of the Rift headset, currently called Santa Cruz. It appeared in prototype form in October 2016, and includes a built-in processing system mounted with the headset, removing the need for it to be connected to a PC. Initial reports from those able to try the prototype were mixed, with several reporters noting their evaluations were carefully controlled, and that Oculus engineers were evasive when asked about the actual processing power and performance of the headset. 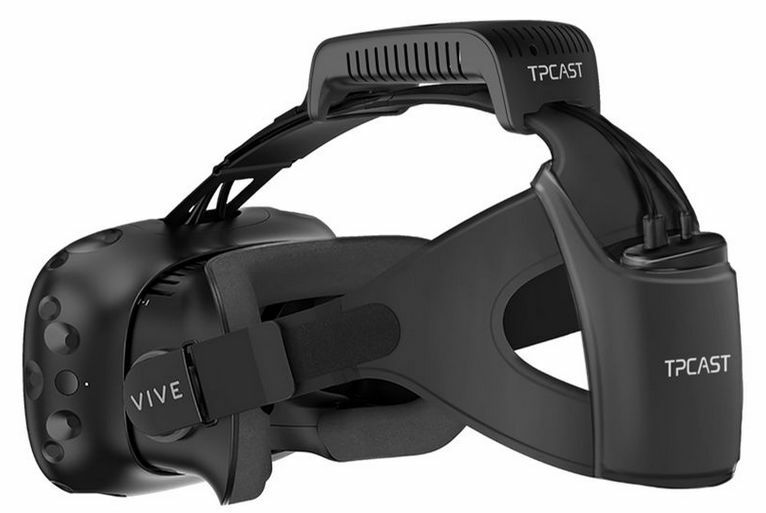 On November 11th, 2016, HTC announced pre-orders were open for a “tether-less” kit for the Vive headset, produced by TPCAST, a Vive X Accelerator invested company. The kit comprises a wireless relay unit and battery pack to power the headset, bot of which attach to the headset harness, removing the need to connect it to a PC via USB cables. In difference to claims that wireless is “unsuitable” for VR due to factors such as latency, TPCAST is said to have no “noticeable difference” when using it with a Vive headset when compared to using the headset tethered directly to a PC. On July 18th, 2016, Strachan Ofarrel (Dave Rowe) released an updated Windows version of his CtrlAltStudio viewer. Version 1.2.6.43412 Alpha use Oculus Rift SDK 1.5.0 and so should support the Oculus CV1, DK2 and DK1. The release has been made to provide a level of Oculus HMD support in Second Life and OpenSim following the Lab’s decision to withdraw their own project viewer support for the Rift, after significant issues were found with the July update to that viewer. However, as Strachan states in his blog post on the release, the CtrlAltStudio Windows update is presented “as is”, and still utilises the Firestorm 4.6.9 code-base, which is itself running well behind current releases, and therefore lacks functionality users might otherwise be familiar with in more recent versions of the SL viewer. This means CtrlAltStudio doesn’t support recent HTTP updates, inventory improvements or the TLS 1.2 update (so the built-in web browser will not work with things like Marketplace transactions when using the built-in browser). Stratchan also warns that it is unlikely that users will get the level of recommended frame rates for CV1 use (which is something the Lab were stating prior to the release of their update), although he notes – again as did the Lab – that the experience should be enough to get a feel for what user-generated VWs are like in immersive VR. Windows CtrlAltStudio users should be able to install this version over the 1.2.5 Alpha and 1.2.4 Alpha versions if they have either already installed. Those with older versions of the viewer should carry out a clean install (and can always back up and restore their settings before / after doing so). Note that if you install over the top of a previous version you may need to press the “Reset” button next to the “UI depth” Display Output option. Updated to Oculus Rift SDK 1.5.0 so that the viewer works with the Oculus runtimes supporting the CV1 as well as the DK2. Fixed the “UI depth” display setting to work for both DK2s and CV1s. 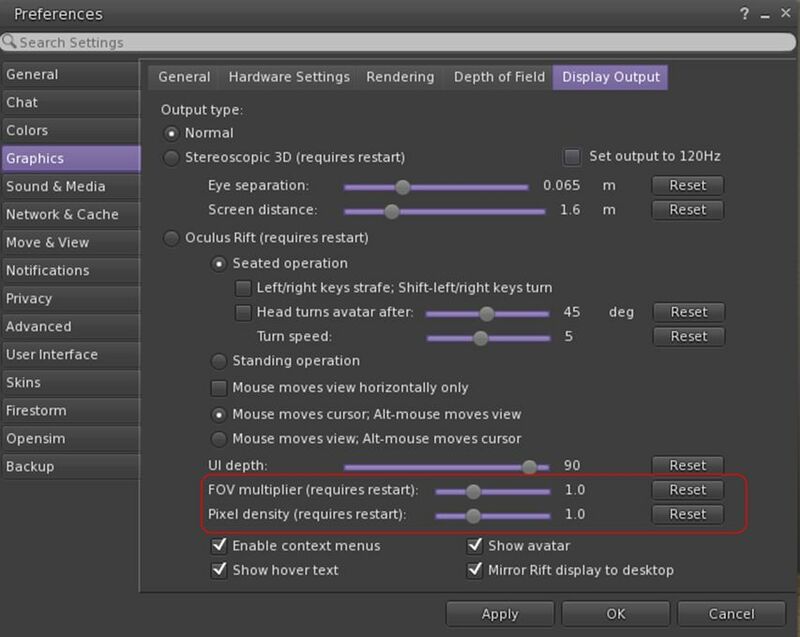 Added an “FOV multiplier” display setting that decreases or increases the field of view with respect to the Rift-recommended value. Added a “Pixel density” display setting that decreases or increases the number of pixels rendered in the process of calculating the Rift display output. Removed the following display options which are no longer available in the Rift SDK: “Low persistence”, “Dynamic prediction”. Fixed crash at start-up if Rift display output is enabled but no Rift is connected and turned on. 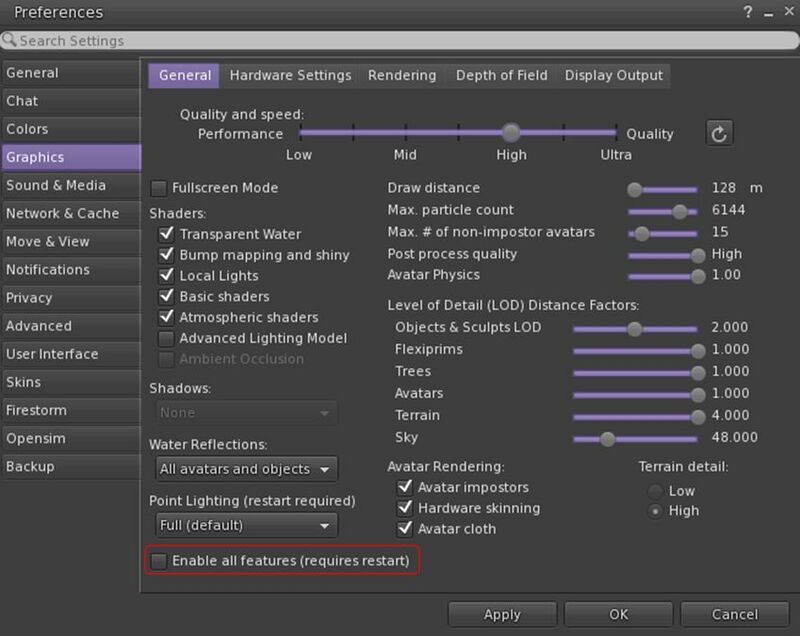 Added an “Enable All GPU Features” display setting that enables all graphics settings that may otherwise be limited if a new, high performance GPU is not listed in the GPU table. Added a “Combine Xbox One triggers” joystick setting that combines the left and right trigger values of the Xbox One controller into a single value like the Xbox 360 controller outputs, thus letting the triggers be used to fly up and down. It is worth noting that when in Riftlook mode, the cursor is only visible in the left eye. This is intended behaviour, allowing the cursor to hover over UI elements and in-world objects correctly without having to use additional and complex code to calculate what relative depth should be used to place the cursor in a stereo rendering. Ai Austin has provided a blog post on his experiences in using this viewer, and I would recommend it for further reading, particularly in you are new to using the Rift with Second Life, as Ai provides point-by-point sets on getting started. Some users have reported that the CtrlAltViewer set to use the Oculus Rift works with the HTC Vive using LibreVR/Revive. This is a compatibility layer between the Oculus SDK and OpenVR. It allows you to play Oculus games on your HTC Vive.